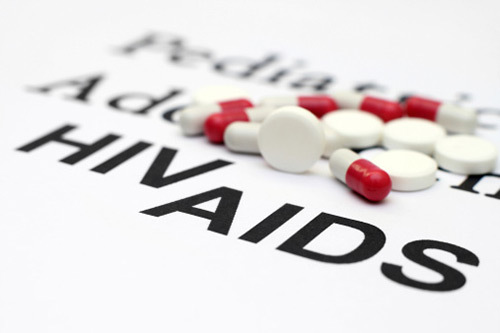 Gilead Sciences has received approval from the U.S. Food and Drug Administration (FDA) for its drug called “Genvoya,” a tablet used for the treatment of HIV type 1 (HIV-1), the most common strain of HIV that’s responsible for the worldwide HIV epidemic. in people aged 12 years and older has been approved by the US Food and Drug Administration. Approved for use in HIV-1-positive people aged 12 years or older, Genvoya is a fixed-dose drug made of a combination of four drugs: tenofovir alafenamide, elvitegravir, cobicistat, and emtricitabine. Patients prescribed the treat must weigh at least 77 pounds and have never received treatment for their HIV diagnoses or they must be adults with suppressed HIV. Genvoya contains the newest form of tenofovir, an HIV inhibitor that has never been approved before by the FDA. Because the new version of tenofovir enters the HIV-infected cells more efficiently than its previous form, lower dosages can be given that will result in a 91% reduction of the amount of the drug located in the blood. Genvoya has already been tested and compared to alternate HIV treatments that have been previously approved by the FDA. This involved four clinical trials with a total of 3,171 participants. The results of the trials indicated that Genvoya reduced viral loads comparable to the other treatments. The benefit of Genvoya, however, is its new tenofovir content, which reduces side effects. Results indicate that there is less kidney toxicity and reduced bone density when using Genovya compared to previous drugs containing the older forms of tenofovir. The FDA sates that despite Genvoya not being beneficial for patients suffering from severe kidney problems, those who have a moderate kidney impairment condition are safe to use it. Having said that, the FDA and the medication’s boxed warning also caution patients of potential side effects and dangers of using Genvoya, including lactic acid buildup causing liver damage, nausea, increased cholesterol, decreased bone density, nausea, the worsening of preexisting kidney conditions, and the potential for severe interactions with other prescription and nonprescription drugs, including other antiretroviral drugs. On a more positive note, Dr. Edward Cox, the director of antimicrobial products for the Center for Drug Evaluation and Research, explains that the approval gives the medical industry another effective treatment for patients suffering from HIV-1 infection. An estimated 1.2 million Americans, aged 13 years or older, are officially diagnosed with HIV, while an additional 150,000+ are infected but remain undiagnosed. Paddock, C., “New Single-Tablet HIV Treatment Wins FDA Approval,” Medical News Today web site, November 6, 2015; http://www.medicalnewstoday.com/articles/302153.php.